So the lovelies at Decor8 posted a fun blog yesterday and asked, "What's your obsession?" 2. Fall weather...which is going to lead to beautiful fall weddings! 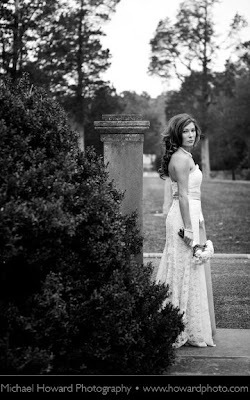 The next several weekends are full of weddings of brides who have made this year very happy and incredibly meaningful. We're expecting that this will lead to lots of posts about real weddings so stay tuned...In the meantime, Michael Howard blogged about his bridal portraits with our sweet bride Ashley..... Here's to you, Ashley, and a fantastic wedding weekend! 4. Doing good, giving back. We love October for so many, many reasons (Market notwithstanding! :) :))....It's not lost on us that it is Breast Cancer Awareness Month and the pink ribbons and pink M & Ms are everywhere! Several designers - including our own Melissa Sweet and Watters - have committed to giving a portion of certain dress sales to breast cancer research. 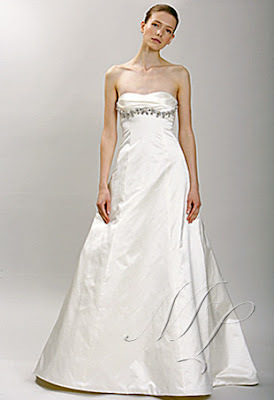 Melissa Sweet style Jasmine, featured below on sample sale now, is one of those dresses. Looking fab and giving back??? It doesn't get better than that. Signing off for now....thanks for checking the blog...we are truly grateful for YOU! 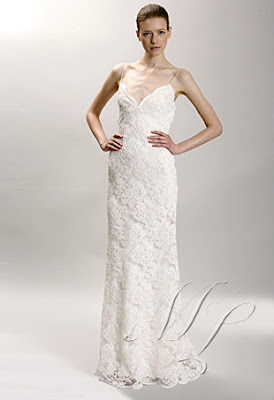 PS: Amsale Bridesmaids Trunk Show this weekend....all the styles in a variety of sizes and colors! AND - the cupcakes just came in for the weekend! Red velvet! Chocolate! White wedding cake! Please!!! Don't leave us alone with the cupcakes!! !